Reservations can only be made for times when the kitchen is open. 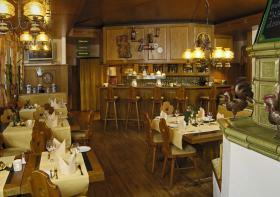 Dine on delicious regional and seasonal specialties in a cozy rustic atmosphere at the Kachelofen-Stube. 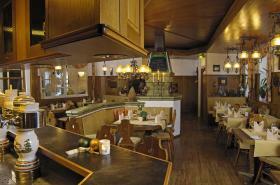 Rustic charm is what you'll find at our „Kachelofenstube“. Enjoy delicious traditional dishes for small to large appetites. Savour the „Kachelofen skillet specials“ and let the day wind down over a cultivated beer in a congenial atmosphere. A table reservation or the booking of a menu/ offer is in the "Kachelofen-Stube" via GlobalGuest always for free you as a guest!